The 2XU Elite MCS Compression Tights deliver targeted compression, ensuring that this is more than a sleek athletic tight. 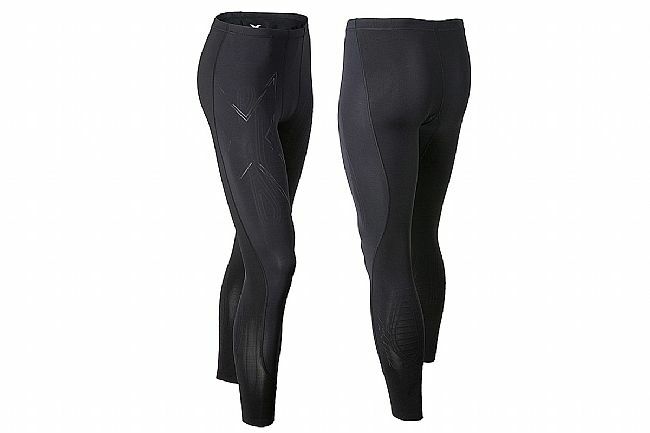 Taking compression to the next level, 2XU's Muscle Containment Stamping targets specific high-risk areas of the leg to protect them while increasing the overall power and performance. Designed with comfort and performance in mind, the Elite MCS provides an exceptional fit for the optimum in support, and performance. Featuring 2XU's PWX Flex fabric through the front, these tights offer moderate compression for the abductors, quads, and shins to offer the ultimate in muscle protection. The rear panels feature PWX Weight gives powerful compression for the glutes, hamstrings, and especially the calf muscles for the ultimate in muscle protection. With its firm squeeze, the MCS specifically targets the high-risk muscles, tendons, and fascia groups and wraps them in powerful compressive support.